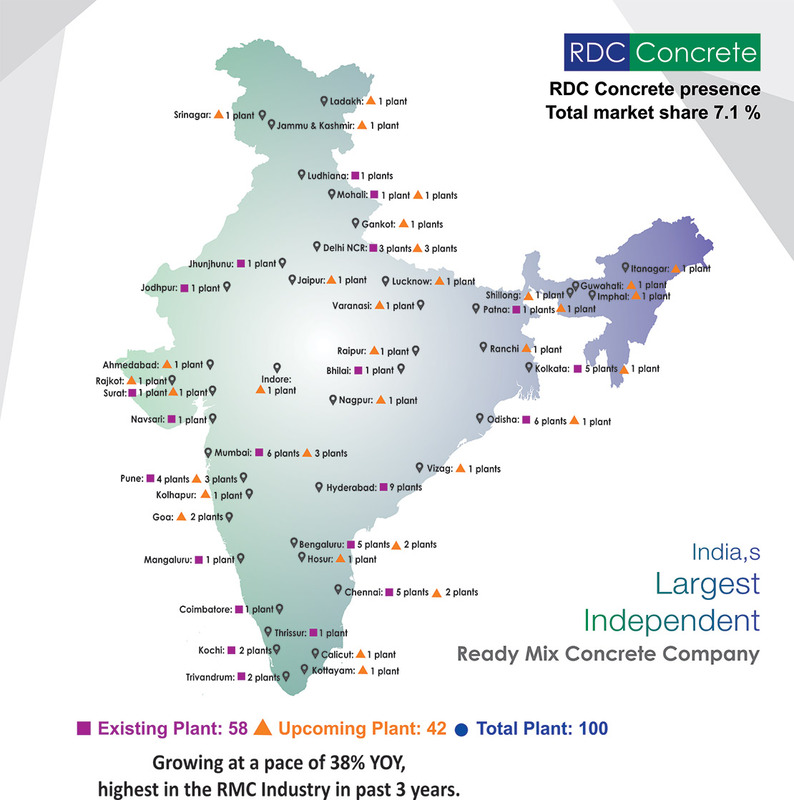 At RDC Concrete, ready mixed concrete (ready mix concrete or RMC) is produced in its fully automated and computerized concrete batching plants at multiple locations across India. RDC Concrete manufactures and supplies concrete mixes, which are designed in its well-equipped laboratories as per established procedures to comply with various provisions of Indian Standards. RDC Concrete's experienced logistics team works closely with you to ensure that the concrete of requisite quality is delivered on time and in the appropriate quantities. RDC Concrete has the experience and the ability to design, produce and deliver a wide range of ready mixed concrete variants to meet specific requirements. Do contact us with details of your requirements and our experts will get in touch with you to discuss the way forward. Apart from concrete mixes of various grades, RDC Concrete also produces special concretes. CONCRETER'S - "SIMPLY THE BEST TRADIES ON THE PLANET"